Taking care of my health and skin is a top priority for me. Not only is it important for me to watch my intakes and how it affects my skin, it is imperative to keep my skin healthy and smooth by being mindful of the products that I use and my skin process. While there are so many skincare products (especially facial cleansers and makeup removers) in the market, choosing a product that is gentle and simple is key for me. 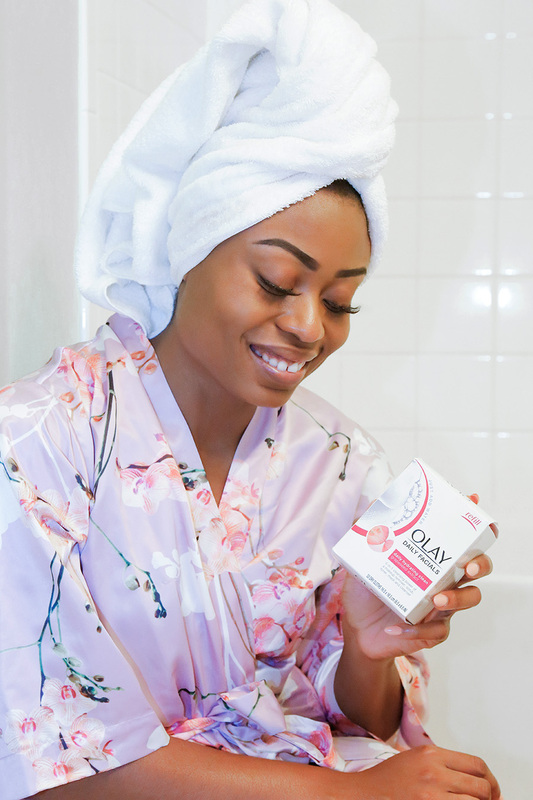 Between juggling being a mom, 9-to-5 as a consultant/program analyst and blogging, it is important that I make time to take care of my skin and also find products that simplify my life. Since I am always busy and occasionally exhausted, the last thing on my mind after a long day is sticking to a long skincare routine. I typically lean towards quick and easy routines. 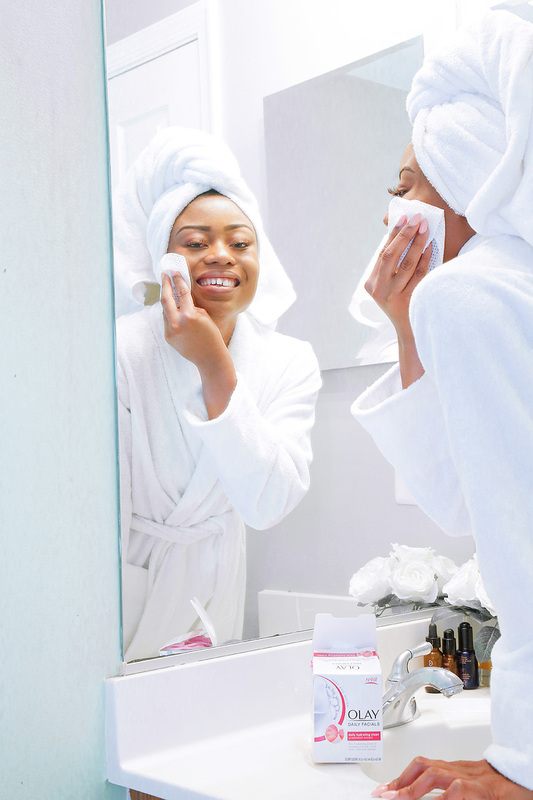 A routine that will still keep my skin smooth and refreshing before bedtime. One thing for sure is that I never go to bed without washing my face, taking off my makeup or following through with my skincare routine. Removing my makeup used to feel like a chore. 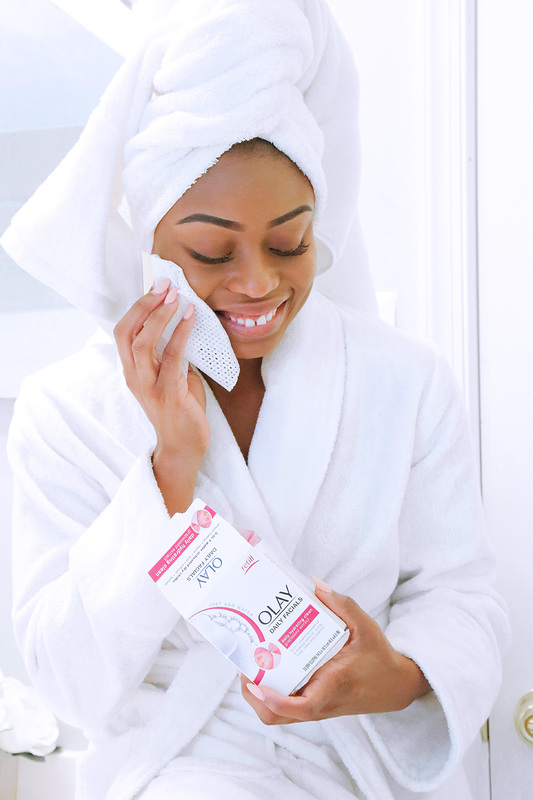 I have struggled to find an easy facial cleanser that will adequately remove my makeup until I came across Olay Daily Facials. It's easy to remove makeup which is convenient for me after a LONG/BUSY day. The best part is my skin feels awesome after because it not only removes my makeup, it cleanses, exfoliates, scrubs, tones and softens my skin. It is very important to use facial cleansers that are actually good for your skin as to avoid breakouts and makeup residues. Avoid using regular soaps to wash your face because it can dry out your skin. 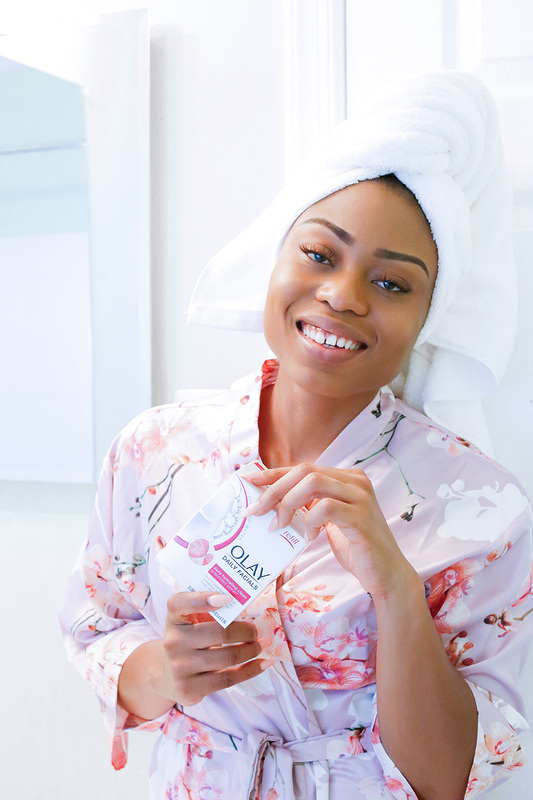 Olay Daily Facials are great for all skin types. 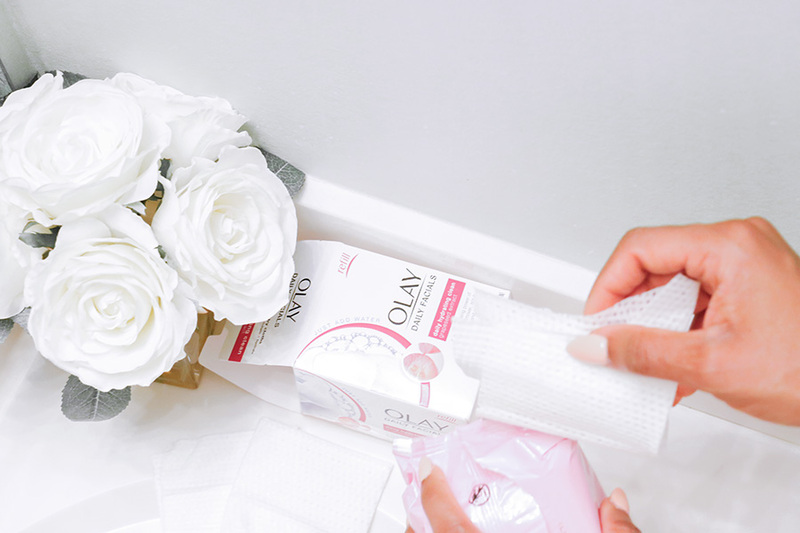 When at the store, look down for the pink box from Olay!